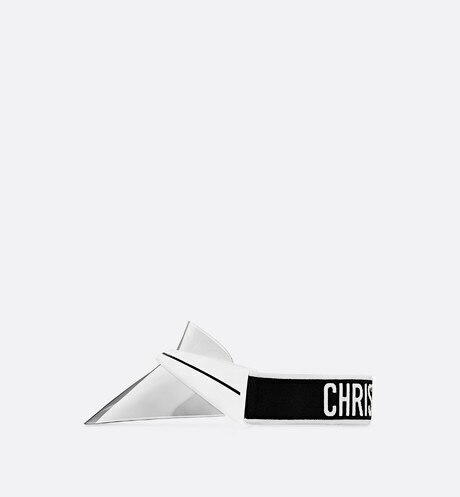 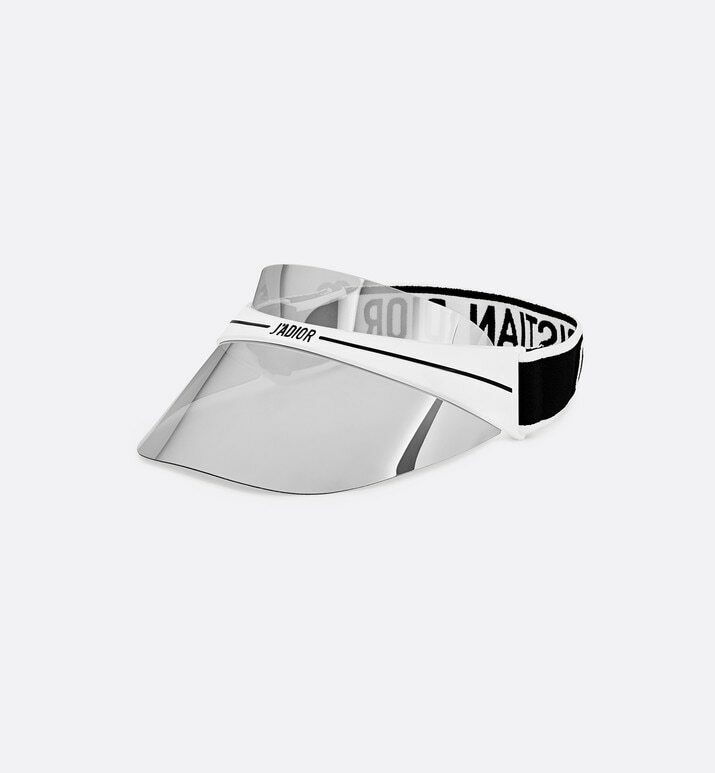 A magnetic interpretation of the DiorClub1 visor from the Spring-Summer 2018 show. 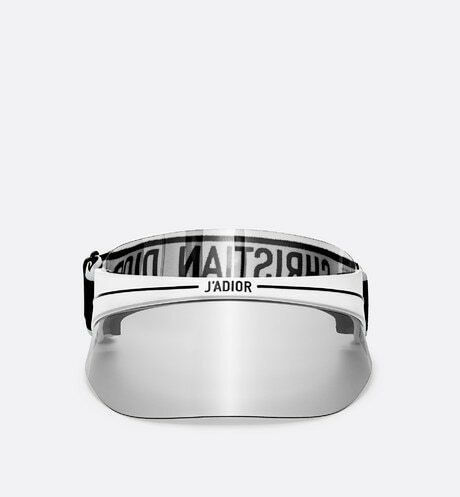 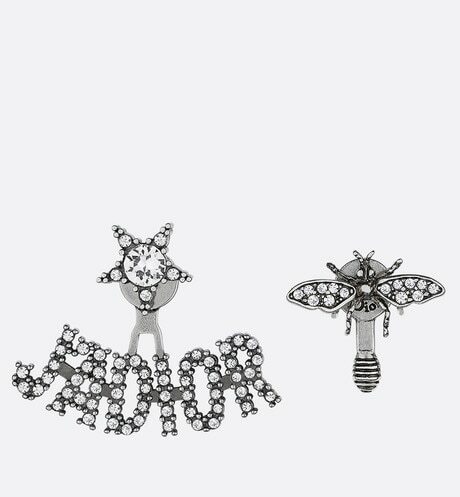 The black and white structure is adorned with the “J’Adior” signature and contrasts with the silver-tone mirror visor. 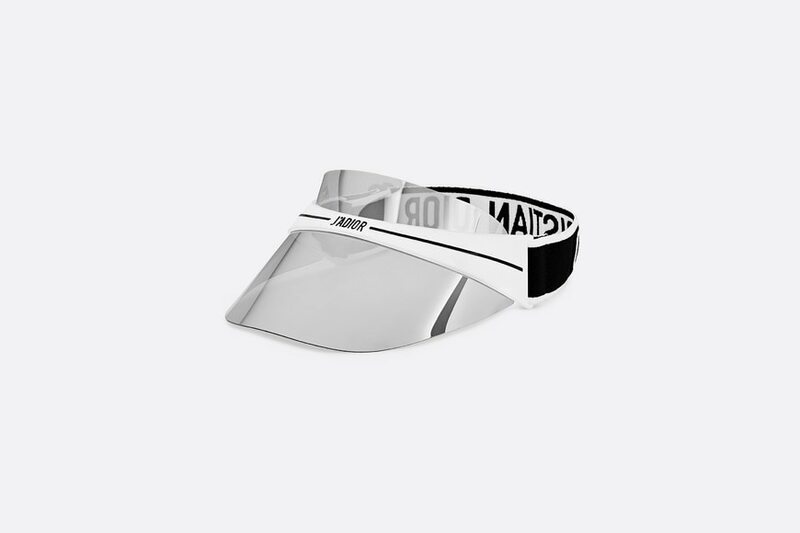 The silver-tone mirror visor shields against both UVA and UVB rays.